CFD studies are regularly used to assess the air quality, comfort and energy effectiveness of lab animal rooms used for comparative medicine. 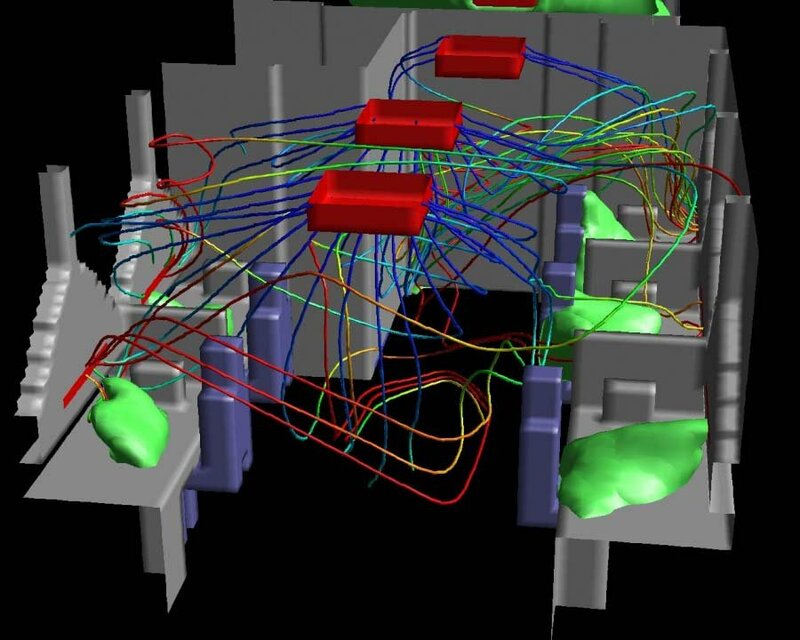 We have modeled rooms with animal populations ranging from rodents in micro-isolation housing, to open caging of mice, rats, guinea pigs, ferrets, to runs used for larger animals such as dogs, pigs and goats. Isolation cubicles and hybrid room designs have also been evaluated for their ability to control odor, allergens, humidity and temperature. M/E Engineering has even modeled the temperature/humidity/CO2 characteristics of containers used to ship animals cross-country over a period of several days. Many of our studies have been benchmarked against actual physical data and have revealed very good agreement between "real life" and the "virtual numerical realm". 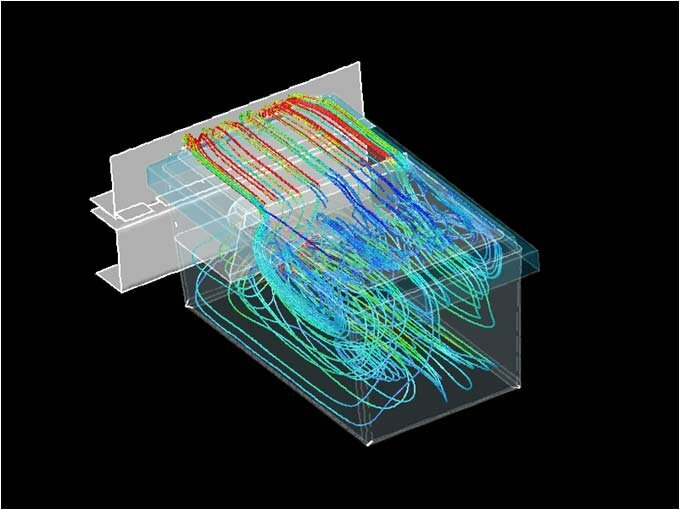 CFD analysis of air patterns and their ability to adequately control odors, allergens and heat buildup. Micro-environment studies to assess the efficacy of ventilated and non-ventilated caging. Analysis of hybrid room ventilation for air quality and energy conservation. Numerical studies of aesthesia scavenging. Assessments of procedure room ventilation. Assessments of special devices or designs to limit allergen exposure. Cage washing, autoclave and support area analysis. Air flow modeling in BL2 and BL3 areas. Isosurfaces of odors in a rabbit holding room.